Do you experience bloating, cramps, heartburn, or foul-smelling stool? If so, it’s likely that you suffer from an enzyme deficiency. But perhaps you take medication – such as Pepto Bismol – that helps to cleanse and repair your gastrointestinal system. So, enzyme shmenzyme, right? Enzymes are a very important element in your body, and medication will actually worsen your condition, making your system dependent on the medicine. What you need, is to toss away that bottle, go to the grocery store, and pick up these 4 rich foods that provide a natural remedy for rejuvenating your digestive enzymes. But, wait, what is a digestive enzyme? I was hoping you’d ask that question. We eat a lot of food, but our digestive system doesn’t absorb food, it only absorbs nutrients. Digestive enzymes deconstruct the food we eat into separate nutrients: amino acids from proteins, fatty acids and cholesterol from fats, simple sugars from carbohydrates, in addition to vitamins, minerals, and a variety of plant and animal compounds. In turn, these nutrients help the processes of energy production, cell growth, and cell repair. If your body doesn’t have enough digestive enzymes, then it’s unable to absorb all of the food you eat. Meaning, even if you’re consuming kale salads every day, you’re not necessarily reaping in all of the benefits. What’s the point in that? If that’s the case, you may as well drink wine and eat cake all day. Unfortunately, research reveals that many people have a daily diet that contains virtually no enzymes. Most of the food we consume is processed and cooked; practices which destroy enzymes, depriving our body of its natural supply. In order to satisfy our body’s deficiency, we turn to digestive enzyme supplements. However, there are natural alternatives that are much easier on your wallet and your digestive tract. Let’s take a look at the most essential natural alternatives to solve your enzyme deficiency. Not only does papaya sound cool, but it’s actually a great source for proteolytic – meaning protein digesting – enzymes such as papain, chymopapain, caricain, and glycyl, all of which aid and accelerate the digestive process. Papain is considered one of the best enzymes for breaking down meats and other complex proteins by separating peptide bonds and deconstructing them into their respective amino acids. Eating papaya with your meal will significantly improve your digestion. Not only are its enzymes the best for breaking down meats, but also for complex proteins like gluten in wheat and casein in milk, which are typically connected to digestive problems. For the most effective results, we suggest that you eat it roughly 15-30 minutes before your meal. For bonus points, be sure to have papaya in a powder, capsule, or blended up in a smoothie while on an empty stomach. 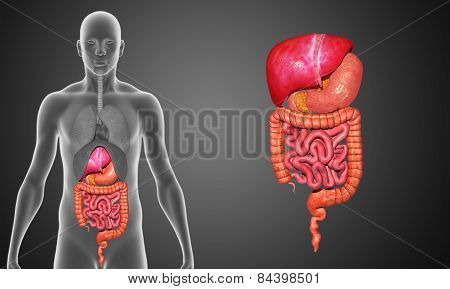 Since there’s no food to breakdown, most of the papain and other enzymes will enter the small intestine, and from there they’ll go into the bloodstream. Once in the bloodstream, the proteolytic enzymes will find and breakdown damaged and oxidized proteins. These rogue proteins are often implicated in the causation of numerous autoimmune disorders like allergies, chronic fatigue, and a weakened immune system. Most important, the enzymes will breakdown fibrin proteins, which contribute to the formation of dangerous blood clots in addition to creating a protective coating for cancer cells. Thus, Papaya may not only save you from ghastly bloating, but from death itself. 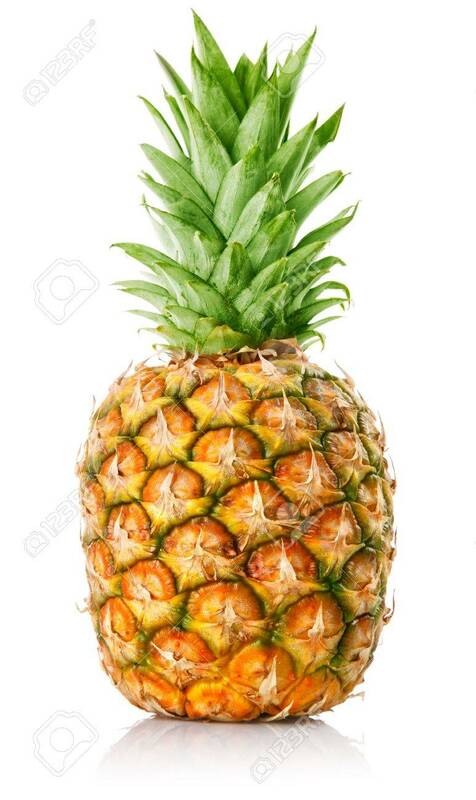 Pineapple is an excellent source of digestive enzymes because it contains bromelain, a mixture of proteolytic enzymes. The proteolytic enzymes in pineapple function in the same way as they do in papaya. But bromelain also has a wide variety of other health benefits, including relief for stomach aches, heartburn, and diarrhea. Some studies even claim that it helps to reduce inflammation, excessive blood coagulation, and some forms of tumor growth. 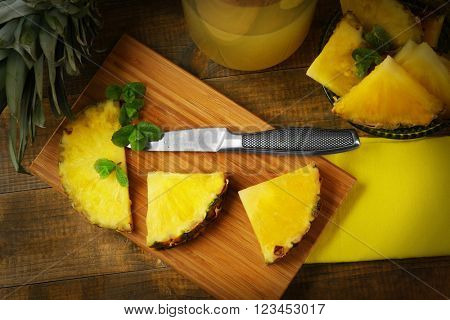 Because pineapple is a particularly sweet fruit, you should consume it naturally, rather than as a juice, since the hard-fruit possesses a soluble fiber which slows the rate at which sugar is released during digestion. Otherwise the sweetness of the fruit causes spikes in blood sugar that will facilitate the bodily production and storage of fat. Bee pollen is one of those superfoods that has an endless list of benefits. It contains an abundance of nutrients, including: amylase, cytochrome, diaphorase, catalase, pectase, cozymase, phosphatase, dehydrogenase, and diastase – that’s a mouthful, eh. In total, it contains over ninety valuable nutrients. In terms of digestion, it helps to cleanse and repair your stomach by reducing ulcers, stomach inflammation, colitis, gastritis, constipation, and chronic diarrhea. It also helps strengthen your stomach’s lining and muscles. 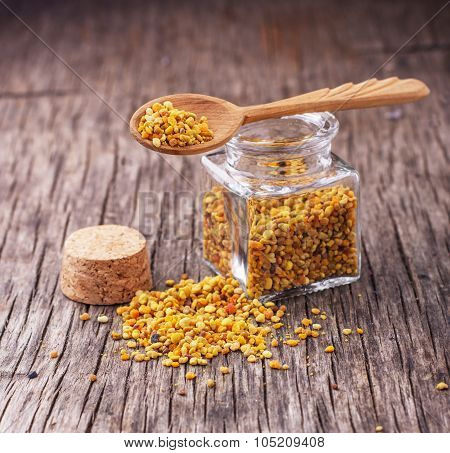 Bee pollen, as the name might suggest, comes from bees, but don’t confuse bee pollen with organic honey, honeycomb, bee venom, or royal jelly; bee pollen derives from the pollen that collects on the bodies of bees. Be careful to make sure you’re buying the right bee product. When you hear the word fermentation, you probably think of alcohol. 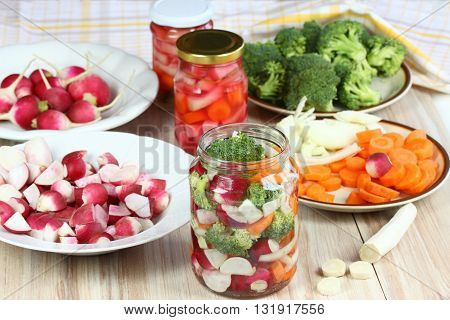 But there are many different types of fermented foods, such as kefir, kimchi, sauerkraut, sourdough bread, and yogurt. Many people associate the sour taste of fermented foods with an unhealthy characteristic. But, in fact, fermented foods, and particularly vegetables, are great for improving your digestive system. Fermented goods employ microorganisms to convert sugars into lactic acid, which creates that essential sour taste. Eating fermented products is an effective method to stabilize your colon. As people get older they are capable of digesting some enzymes, but fermented foods counter that process. For instance, the fermentation procedure enables people who can’t properly digest milk to comfortably eat yogurt. Fermented foods have many beneficial probiotics and bacteria, both of which facilitate digestive health. Collect a variety of fruits. Clean and dry all fruits. Cut fruits and layer them in the bottom of a container with sliced lemons and brown sugar; repeat several times until the container is half full of several layers. Seal the containers and store it in the fridge. Shake the container once a day to ensure that the layers mix together. Remove the container after 2-3 days. 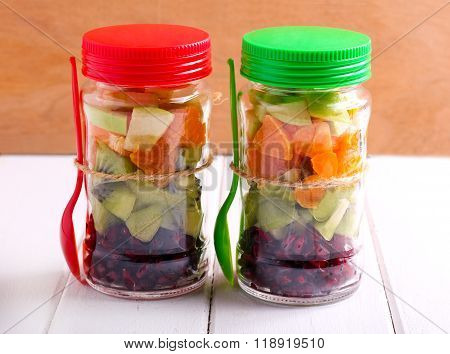 Extract the fruits and pour the remaining juice in a jar – now drink!